India's legendry actor Amitabh Bachchan accomplishes another milestone in his career. This time the 74 years old actor made a record number of followers on his official Twitter page. 29 million followers currently follow actor Amitabh Bachchan. Amitabh Bachchan tweeted that. '29 million on Twitter. There was time only one person saw my tweet and today 29 million! It is because of all of you!'. Amitabh Bachchan is ahead of Shah Rukh Khan (27.6 million), Salman Khan (25.1 million), Aamir Khan (21.8 million) and Deepika Padukone (20 million). 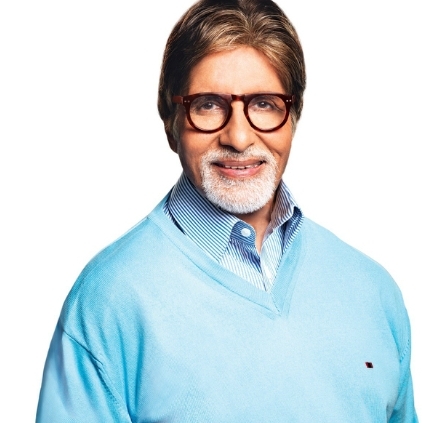 On the work front, Amitabh Bachchan is working on films like '102 Not Out' and 'Thugs Of Hindostan.' There are also strong rumors that Amitabh Bachchan and Salman Khan will be seen together in 'Race 3'. 'Amitabh Bachchan's tweet not spell-checked'. Red Hot: Is Dhanush remaking Arjun Reddy? Who is the third Magician in Vijay's Mersal? People looking for online information on Aamir Khan, Amitabh Bachchan, Shah Rukh Khan will find this news story useful.